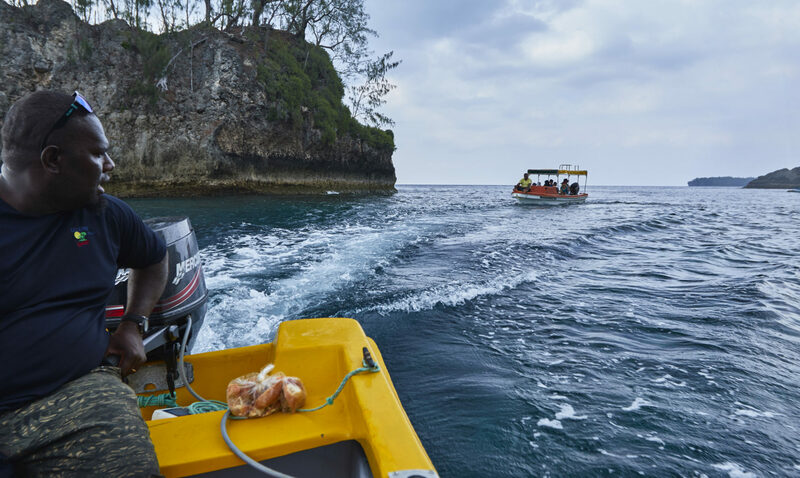 Come fishing with us on our 7 meter Banana Boat, 100% Ni Vanuatu owner operated by the local Lelepa Islanders. 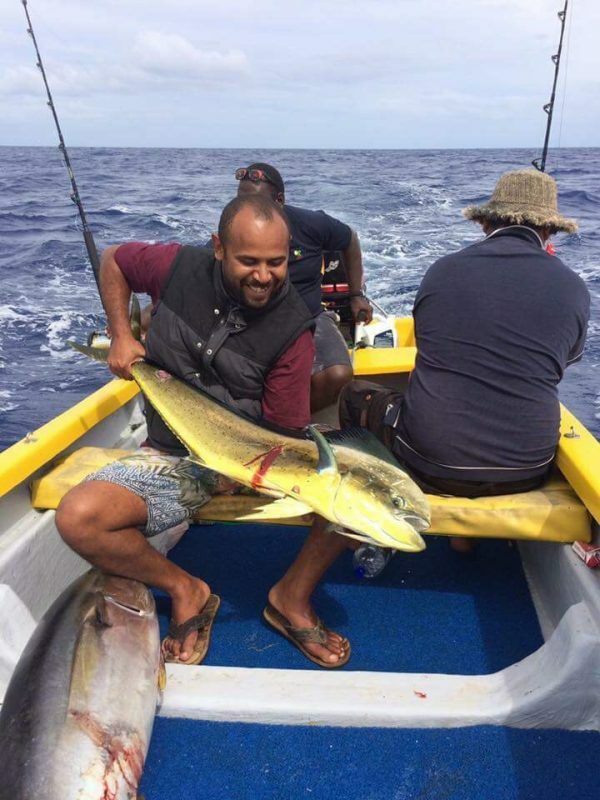 Light game fishing and Light reef fishing targeting a huge variety of game and reef fish. All tours include: bus transfers, light refreshments, fishing gears, bait, skipper. Full Day Fishing includes and a beach BBQ lunch juice and water. Come fishing with us on a 7 meter Banana Boat, locally build in Vanuatu, fully surveyed by the Vanuatu Maritime. 100% Ni Vanuatu owner operated by the local Lelepa Islanders. We don’t just care about fishing, We also care for your safety! 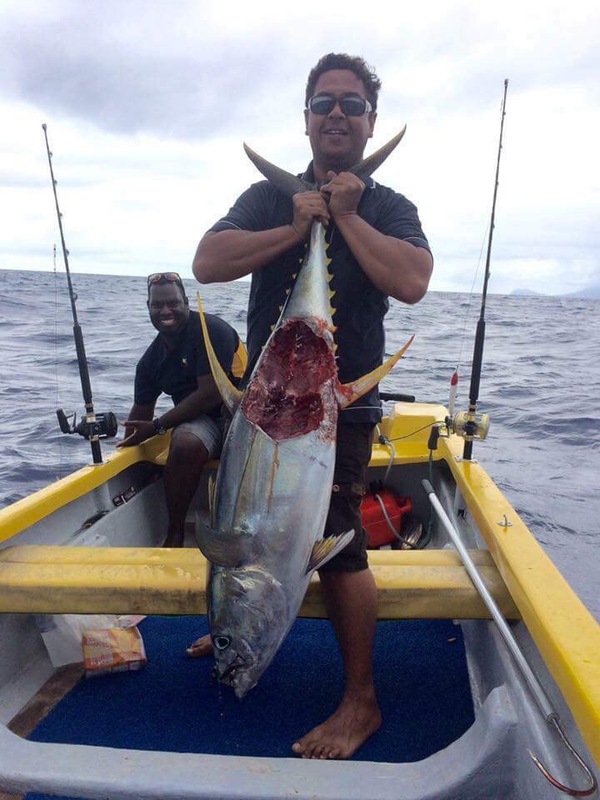 Light game fishing targeting: Wahoo, Skip jack tuna, Dog tooth tuna, Yellowfin tuna, Blue fin tuna, Giant Trevally, Mani mahi,and maybe Bluefin and Blackfin marlin. Light reef fishing targeting: Coral trout, Bream, Snapper, Poulet fish, Leather jacket, Long tom, and huge variety of reef fish. 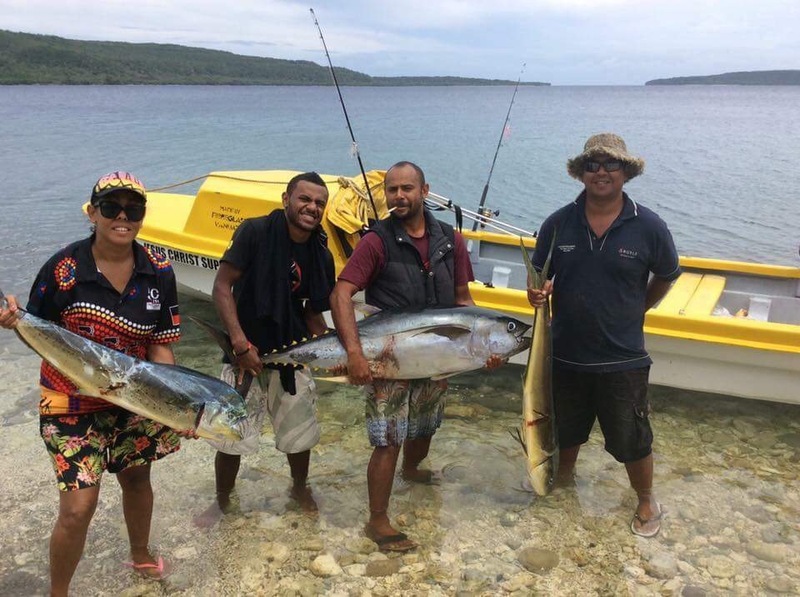 Full day Charters includes: Your return bus transfer, light refreshments, all fishing gears, bait, skipper and a beach BBQ lunch juice and water. Pick up from your resort foyer at 4:30 – 5:00am and return at 4:30pm. Half day charters is includes: Your return bus transfer, light refreshments, all fishing gears, bait and skipper. Pick up from your resort foyer at 4:30 – 5:00am and return at 10:30am. We look forward to welcome you soon to our island of peace and plenty. (Lukim yu) or See you soon.